Etihad Airways currently owns a 24 per cent stake in debt-laden Jet Airways. Shares of Jet Airways rose as much as 6 per cent to Rs 312 on the BSE in early trade Tuesday after various media reports suggested that Etihad Airways plans to increase its stake in the cash-strapped airline. Etihad Airways currently owns a 24 per cent stake in the debt-laden airline. Jet Airways had jumped around 19 per cent on Monday in intra-day trade after CNBC TV18 reported that founder and chairman Naresh Goyal was likely to step down from the board and give up majority control. The report also said that Etihad may infuse more capital into Jet. 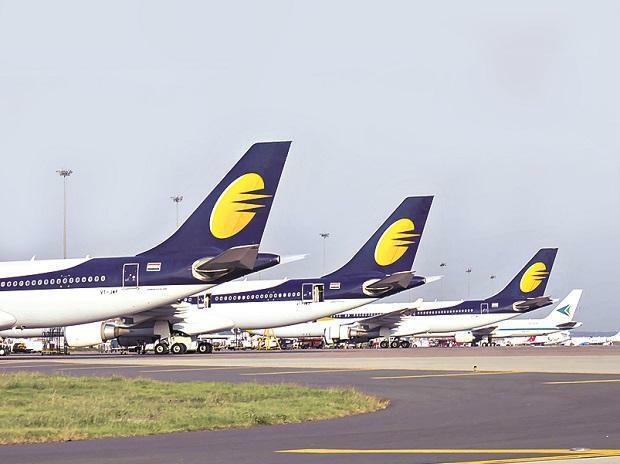 Etihad Airways PJSC may gain effective control of Jet Airways (India), if lenders approve a resolution plan for the cash-strapped local airline, the Mint reported citing sources. Lenders to Jet Airways are preparing to pick a substantial stake and restructure the debt of the cash-strapped airline as a forensic audit has not shown any adverse findings, it is learnt. State Bank of India (SBI), which leads the consortium of lenders, had last month appointed consulting firm EY to carry out a forensic audit of the airline's accounts following complaints of fund diversion, said a Business Standard report. At 09:51 am, Jet Airways was trading at Rs 307.65, up Rs 13.25 or 4.50 per cent from the previous close. Around 1.2 crore shares have been traded on BSE and National Stock Exchange (NSE) so far.